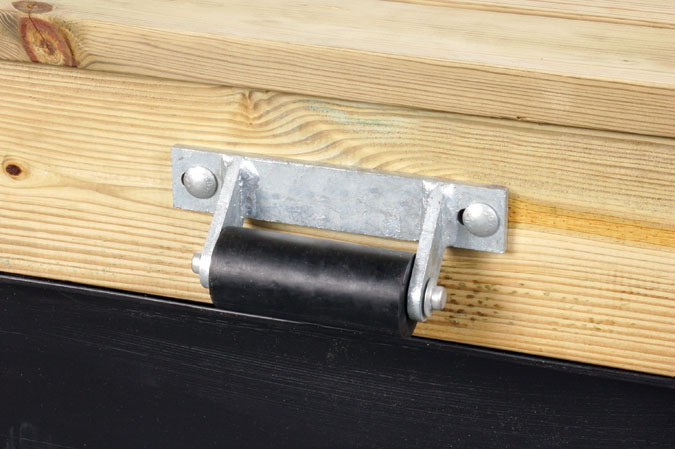 ·Rugged design to withstand heavy impact, these rub rails are built to last. 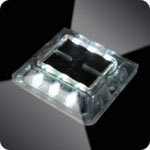 ·Air-cushion profile – a complete system using connectors, end plugs and 90 degree corners. 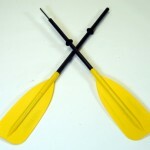 ·Constructed of marine grade flexible PVC, developed not to chip or crack under normal usage. ·Unaffected by oil, gas or salt water. 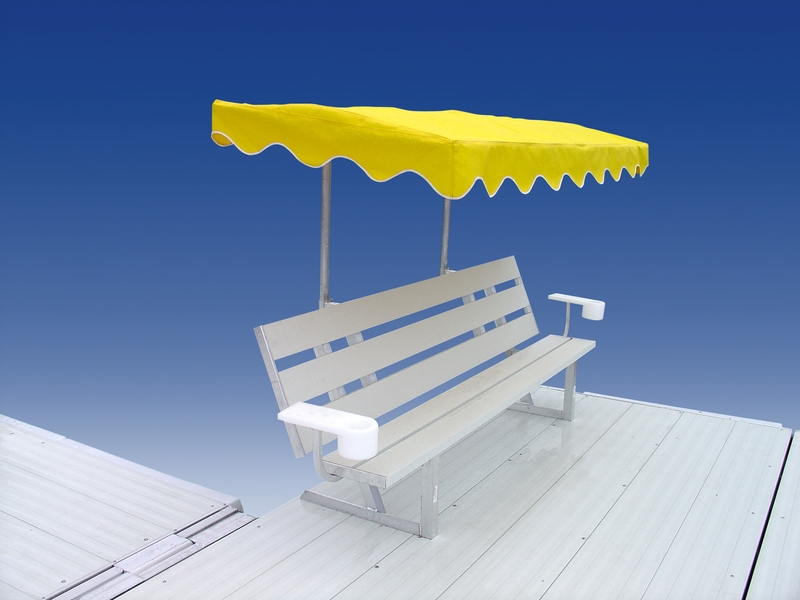 UV inhibitors and fungicides prevent fading, yellowing, deterioration from sunlight and unsightly blotching. 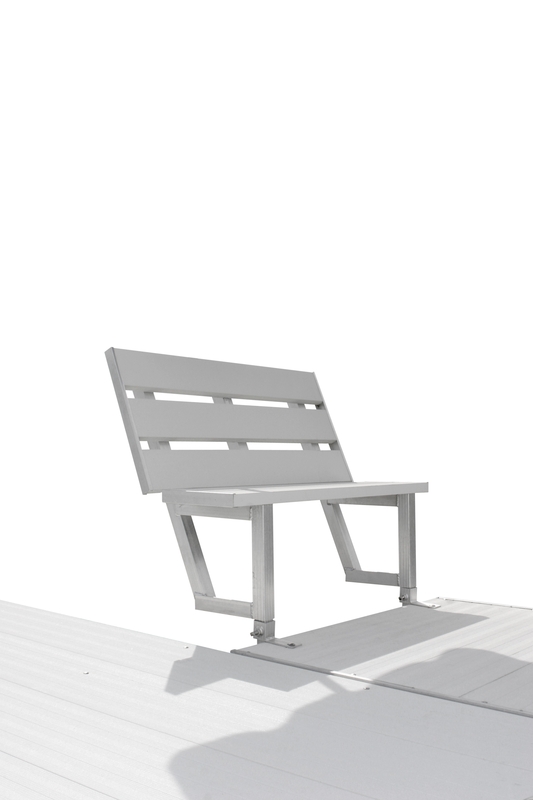 ·Bright white finish enhances your dock’s appearance. ·Easily installed on any horizontal or vertical surface. PERIMETER BUMPER – SUPERIOR CUSHIONING PROTECTION. ·Designed to solve the ever present problem or marring or scratching that occurs with many rubber type bumpers. ·Constructed with a heavy duty polyester fabric encasement – guaranteed not to deteriorate in the sun. 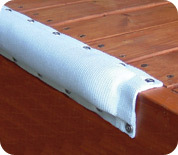 ·Special closed cell inner cushion provides superior and long-lasting impact protection for your boat. ·Flexible construction allows vertical, horizontal, rounded or flat surface installation. 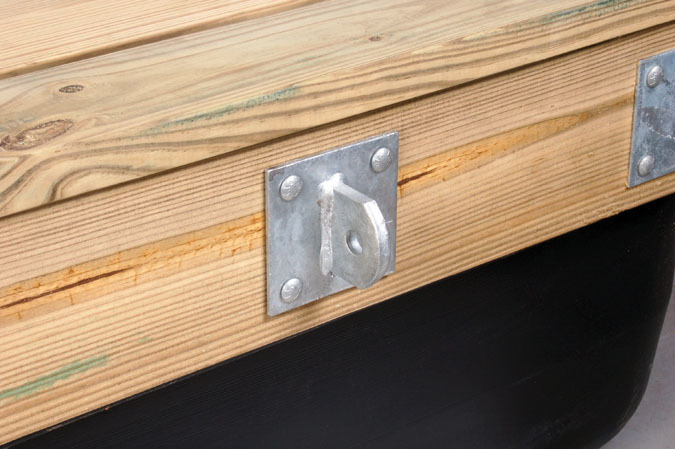 ·Tab system allows standard “top of dock” or unique “fold over” mounting which conceals the top row fasteners and allows quick and easy installation. ·Cleans easily with liquid soap. 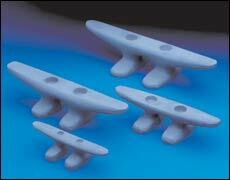 ·Cast aluminum cleats are sand blasted to give a clean gray matte finish. ·Each cleat is designed with an extra wide footprint for added strength. 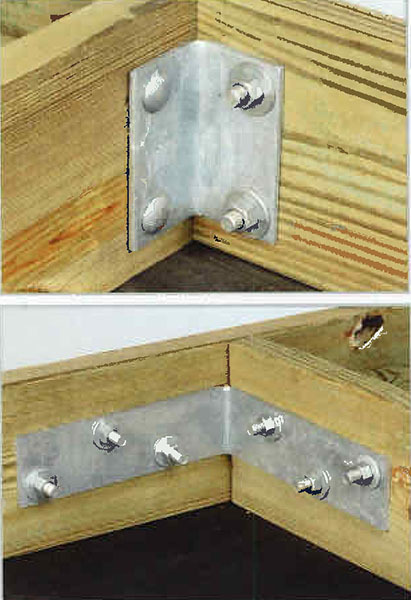 ·Enlarged counter-sunk hole for easy installation with a socket. 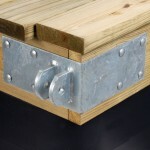 ·Can be through bolted or lag bolted. Compact 3″ natural aluminum or powder coated black or white, these safety cleats are excellent for tying up canoes, small fishing boats, and pedal boats. 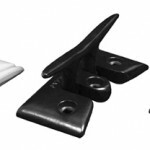 ·All aluminum heavy duty commercial fold-down cleat. 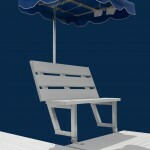 ·Available in natural aluminum and Black or White powder coat finish. 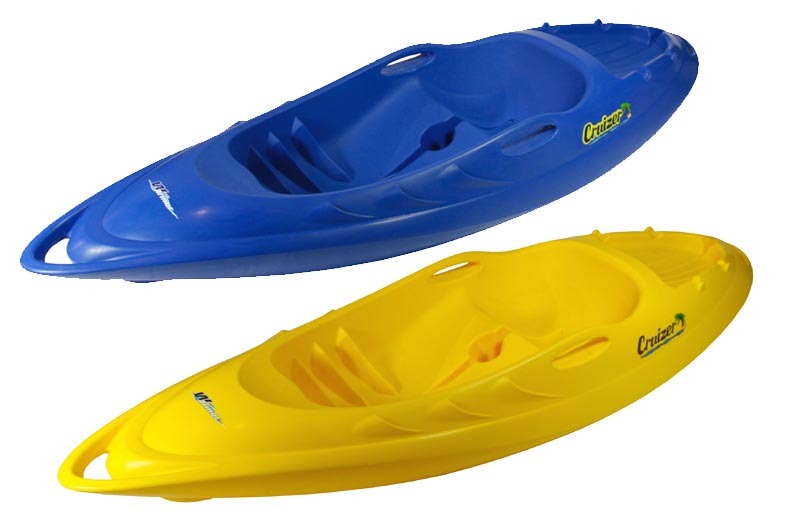 ·Available in 6” for boats up to 18’ and 8” for larger boats. ·Cast aluminum powder coated white flip-up cleat. ·Nylon composite fold down cleat which mounts to any surface. ·Large footprint for added strength. ·Heavy duty ladder featuring 1- 1/2” galvalume tubing and white polyester powder coated for a bright, clean looking finish. 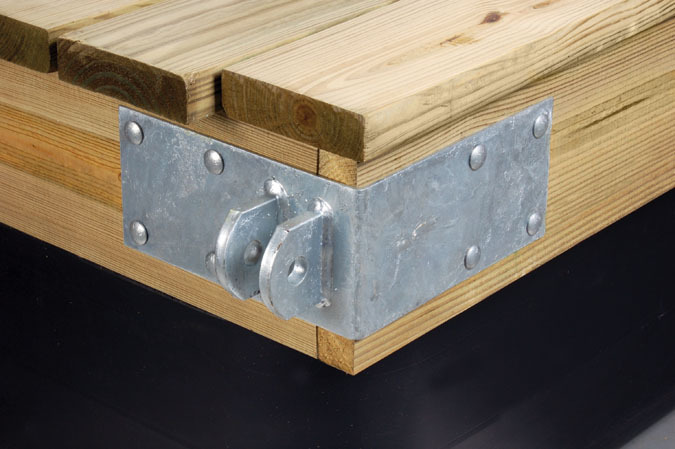 ·Lower section can easily be removed with two bolts for off season storage. ·Available in 3 and 4 step models. ·Brushed stainless steel finish for an elegant sheen and upscale finish. 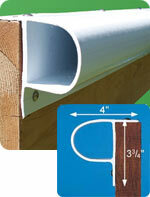 ·Strong 1 ½” tubing provides a secure grip. 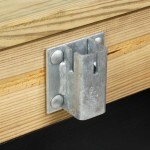 ·The lower section can easily be removed with two bolts for off season storage. 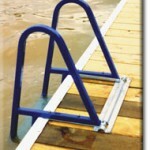 ·Hinged design allows the ladder to conveniently flip out of the water when not in use. ·Locks securely in both positions. 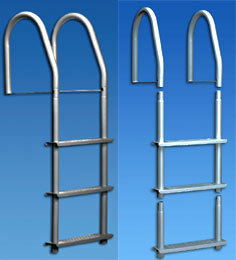 Comes in two finishes; blue powder coat and galvanized (silver finish), and three sizes- 3 step, 4 step, and 5 step. Powder coat provides a tough, durable finish. 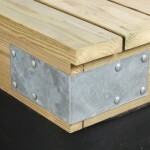 Steps are galvanized and powder coated for extra protection. 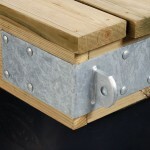 Galvanized version protects against rust and corrosion in salt water. Optional Speed Release available for easy removal from dock. 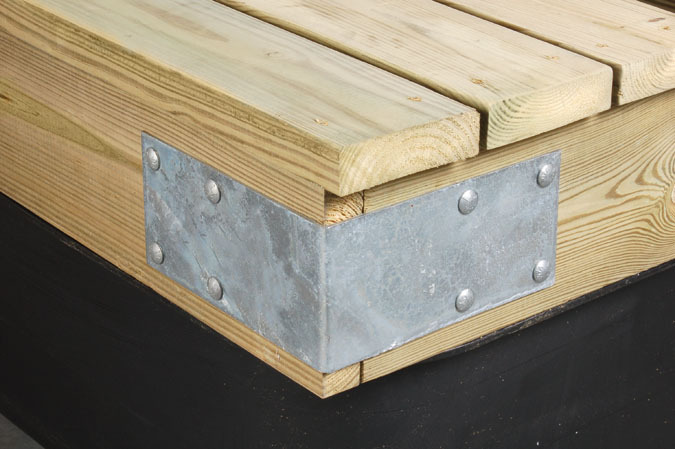 Option for easy removal of steel ladder from dock. 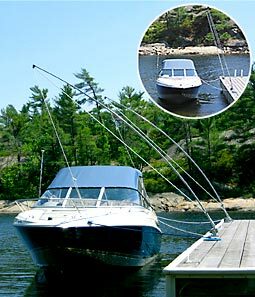 ·Easy to install mooring arms apply vector based forces to the bow and stern of the watercraft allowing it to freely and effortlessly follow wave and water action yet securely keep the craft at arms length from the dock. ·Manufactured from the same durable cross-wound fiberglass as mooring whips, each set includes polyethylene line and pivot retainers as well as stainless steel hardware. 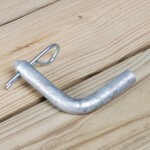 ·Hot dipped galvanized cleats and mooring lines are included. ·Available in 4 ft. and 6 ft. lengths for PWCs to mid sized cruisers up to 5000 lbs. ·Exclusive “Plug & Socket” design for quick and easy separation. ·Tie off cleat and new carbon fiber technology. 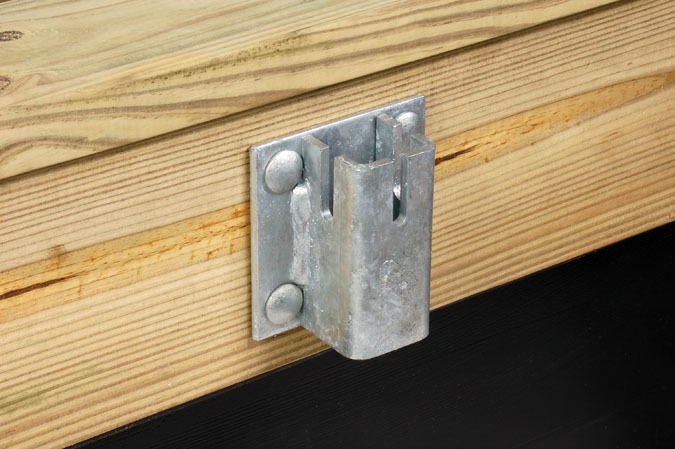 ·Solid cast aluminum base with built-in cleat, ring and thumb screw. 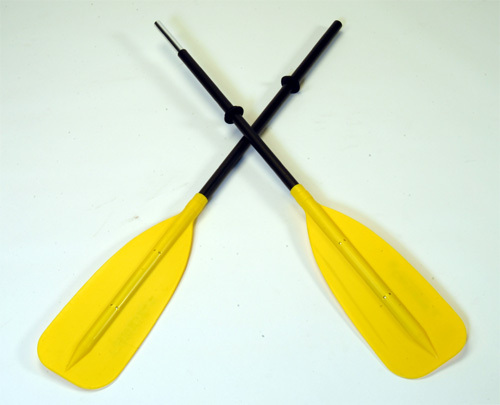 ·Unique tip with functional roller and tie off cleat for easier boat access – simply release the whip line from the tie off cleat. The whip lines effortlessly roll through the pulley at the tip causing the boat to gently approach the dock for boarding. ·Double braided nylon whip lines, spring lines and unique line tensioner for one-handed set-up. 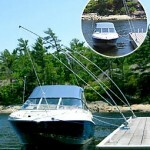 ·Available in 8’, 12’, 14’ and 16’ lengths for boats from 18’ to 33’ and up to 20,000 lbs. ·Solid fiberglass rod with an exclusive cross-wound fiberglass for extra rigidity, strength and flex. ·Rocker bases allow these whips to retract almost completely for clearance for boats with towers. No more jostling the controls to avoid whips protruding over the edge of the dock. ·Exclusive “Plug & Socket” design for quick and easy separation and cast aluminum base with built-in cleat, ring and thumb screw. 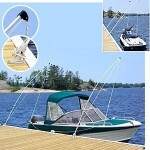 ·Each whip includes functional roller tip and a tie-off cleat for easier access to your boat. 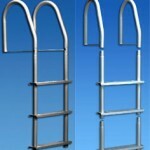 ·Stainless steel mounting hardware is included. 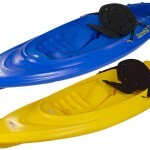 ·Available in 12’, 14’ and 16’ sizes for watercraft from 21’ to 33’ and up to 20,000 lbs. 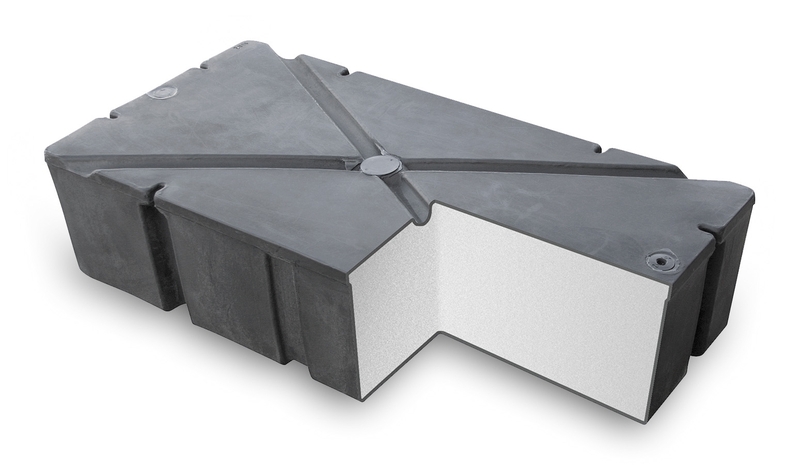 The impact resistant high density polyethylene shell is 3/16″ thick filled with expanded polystyrene foam for the most reliable flotation. 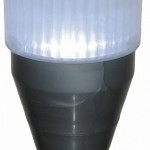 Thick wear resistant polyethylene tube is molded into the shell. 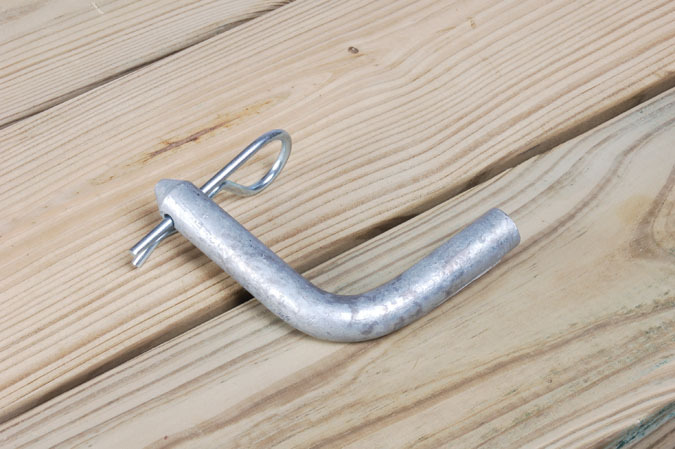 Washer ring is included to support the shackle and ground tackle. All buoys have a two year warranty. This Mooring Buoy has been designed to provide the ultimate in strength, durability and boat protection, giving increased security to any mooring. 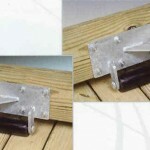 Has two 1/2″ welded tabs. 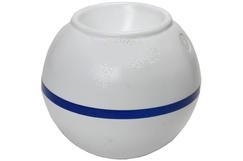 Use with male outside corner to connect docks end to end. 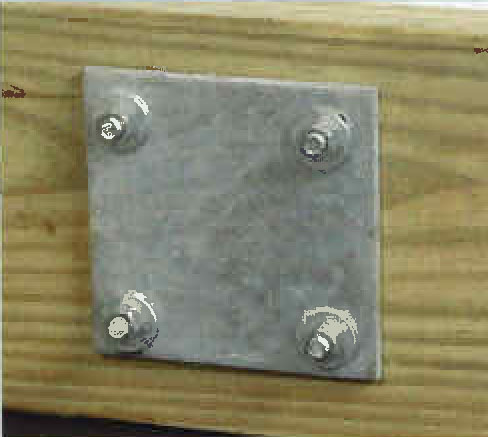 Each leg is 10″ L x 5″ H. Joint requires bolt set or Connector pin Set. 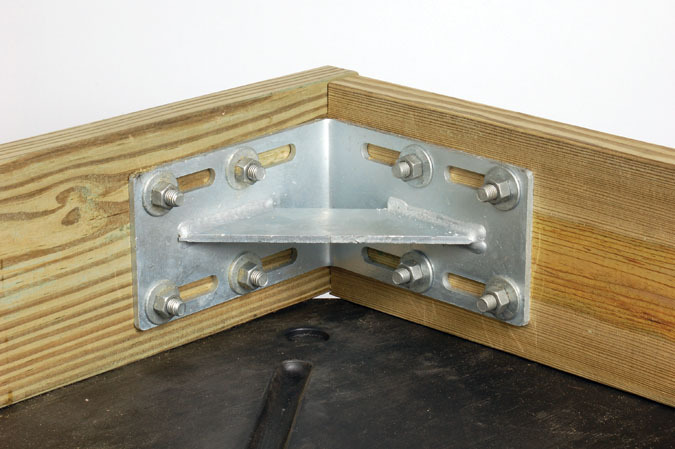 Has one 1/2″ welded tab. 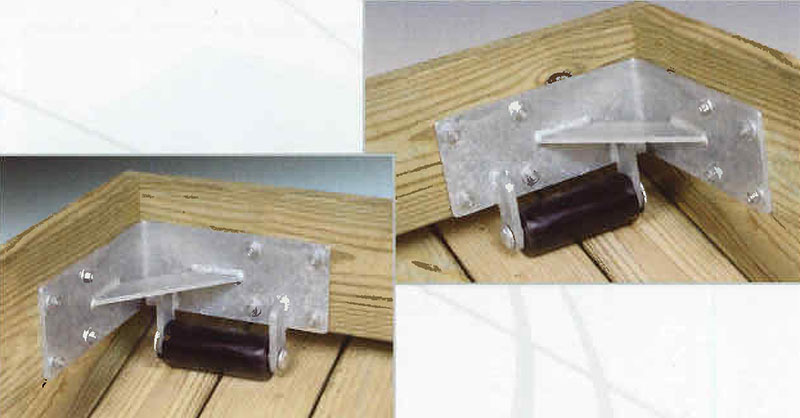 Use with female outside corner to connect docks end to end. Each leg is 10″L x 5″H. Use this corner at ends of fingers and docks. Ideal for swim floats. Each leg is 10″L x 5″H. 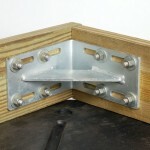 This heavy-duty inside corner should be used with one of the outside corners. 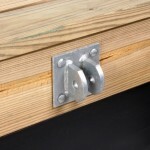 Each leg has elongated holes for easy fit-up and is 8 1/2″L x 5″H. 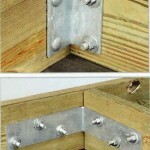 Has one welded 1/2″ tab. Use with female T connector to attach fingers and ramps. 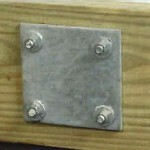 5″ L x 5″ H. Bolt set of Connector pin set required. For quick disconnect. Used to connect male and female T connectors. 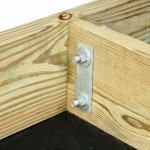 Galvanized 3/4″ connector pin and hitch clip pin. 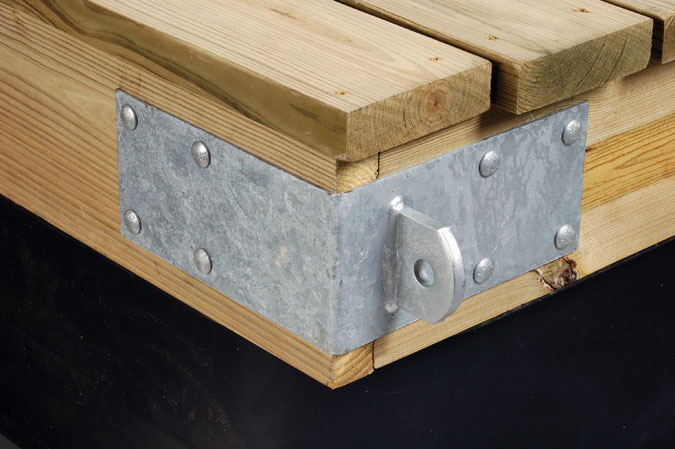 5″ x 5″ reinforcing plates are used to back up the single T males and females. Use two washer plates with each angle. 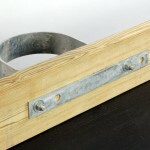 Measure 1-1/2″ L x 5″ H.
Use this heavy-duty angle for all cross supports. Each leg measures 2-1/2″L x 5″H. 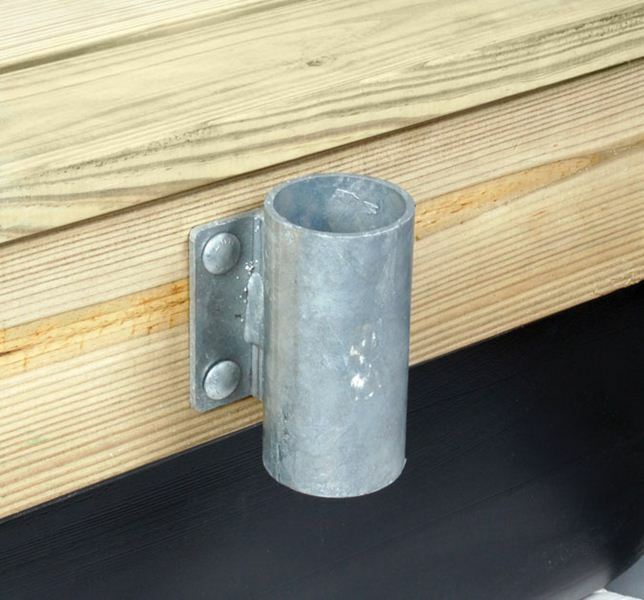 These heavy-duty inside corners should be used with one of the outside corners and as an internal pipe holder to give strength to the dock’s frame. 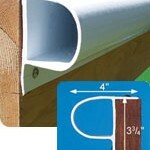 Measures 8-1/2″ L x 5″H. 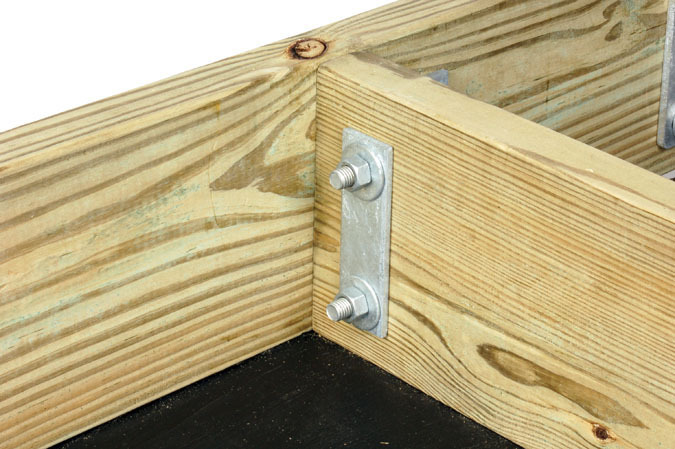 Requires carriage bolt set for attaching. 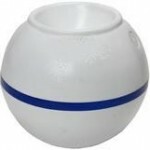 Available in either 2″ or 3″ pipe sides. 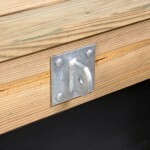 Bolts to outside of dock. Carriage bolt set required for attaching. 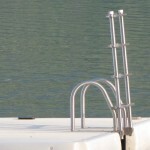 Use 2″ pipe to hold dock in plate. 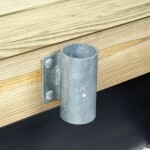 Bracket and roller bolt directly to the Deck Plate and can be added to aid up and down motion of the dock. 6″ roller turns on a 5/8″ diameter shaft. 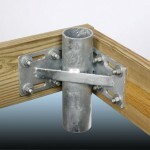 3/8″ bracket is hot-dipped galvanized. 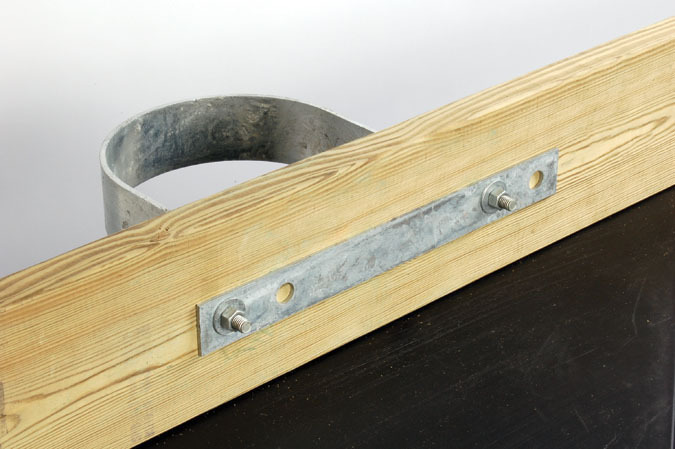 5″ x 11″ x 1/4″ galvanized steel inside rolling ramp bracket includes left and right ramp brackets. 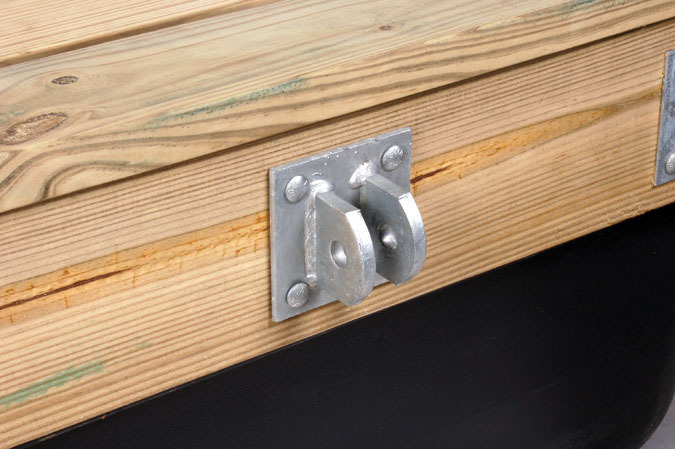 Bolts to side of dock. 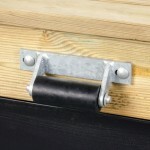 Use weights and chains to hold dock in place. Accommodates 1/4″, 3/8″ and 1/2″ chain. Measure 5″L x 5″H. 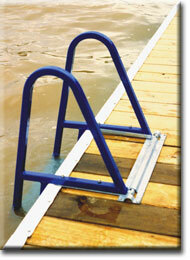 PREMIER COMMERCIAL DOCK FLOATS – The floats chosen by professional dock builders. 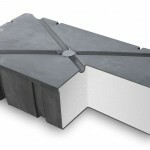 Premier foam-filled float drums offer durable flotation for new or existing dock systems. The plastic exterior one-piece seamless shell design prevents leakage and separation caused by weak joints. The drum wall is made of tough virgin polyethylene with ultra violet inhibitors to prevent damage from the sun, debris, oil, gas, marine organisms, salt, and fresh water. 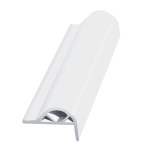 A nominal wall thickness of .150 offers a stronger, more durable float. 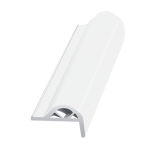 The top of the shell is flat with molded-in mounting slots for easy attachment to any dock frame. The interior of the float drum is filled with expanded polystyrene (EPS) foam. 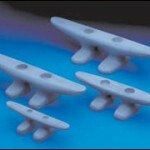 The foam is steam pressured for a tight fit that provides the highest buoyancy possible. 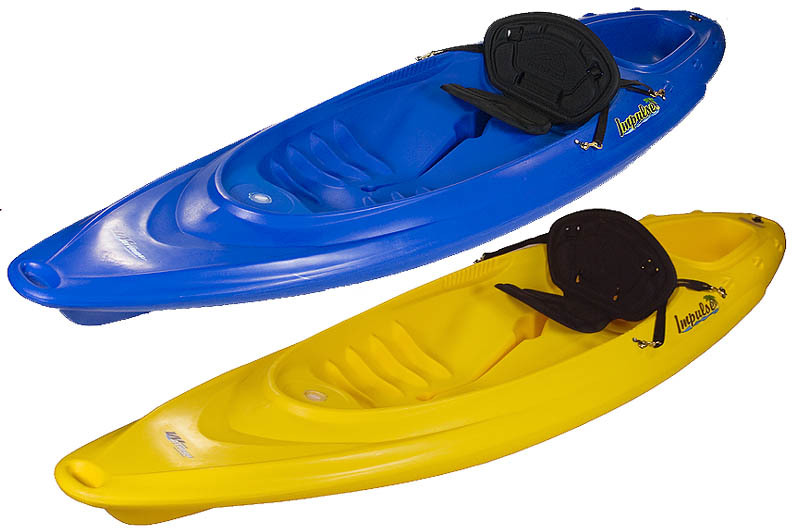 The foam interior provides floatation if the outside shell becomes punctured and is continually tested to meet or exceed the Hunt Water Absorption Test standard of 3 lbs per cubic foot. Premier’s warranty is unmatched! 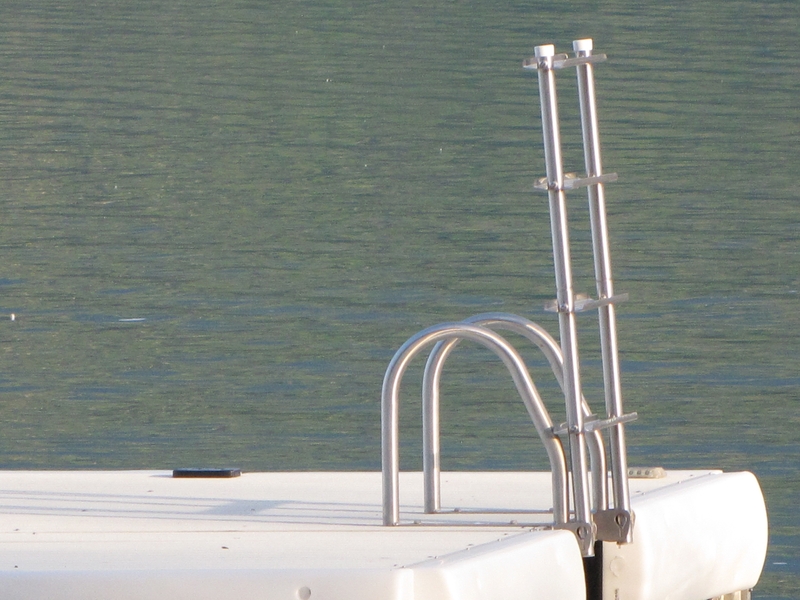 Confident in their tested dock float quality and field-tested design, Premier floats are backed by the only 15-year warranty in the industry, 100% non-prorated replacement for the first 10 years. 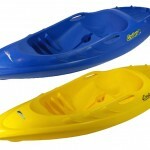 With over 50 different sizes available from one to four feet wide, three to eight feet long and eight to thirty-two inches high, you are sure to find a float that fits your needs. Heavy Duty Construction and Style. 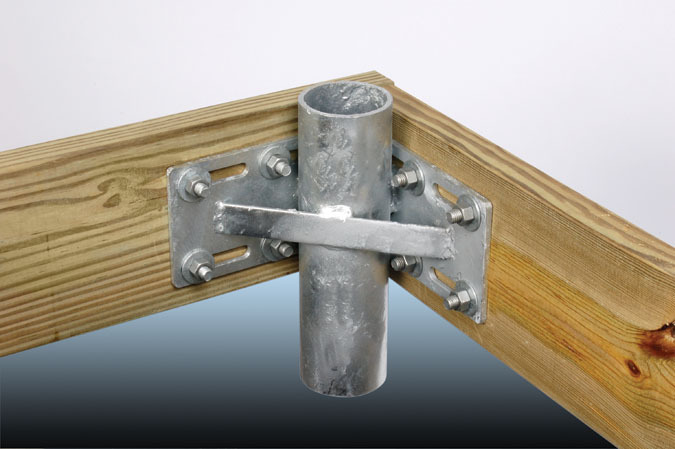 •Fits post sizes 1-5/8″, 1-7/8″, 2-3/8″, and 3-1/4″ ID posts, universal flat surfaces with included adaptors. 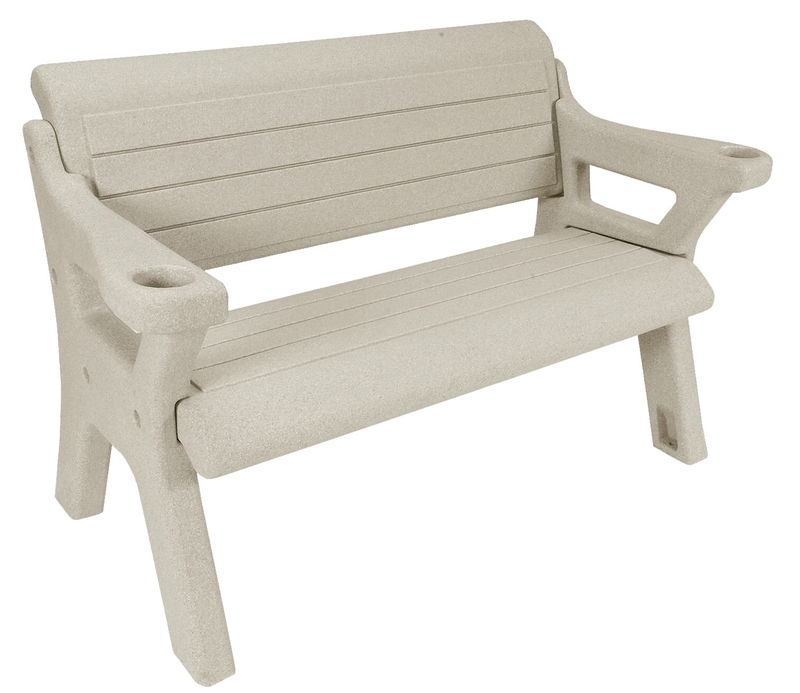 ·The outdoor dock/lawn benches feature arms with molded in beverage holders! ·All benches are designed using a combination of traditional and contemporary styling, embodying strength, beauty and elegance. ·Clean lines and pure simplicity of design find itself at home anywhere. 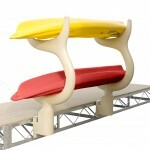 ·Constructed of 100% weatherproof polyethylene. 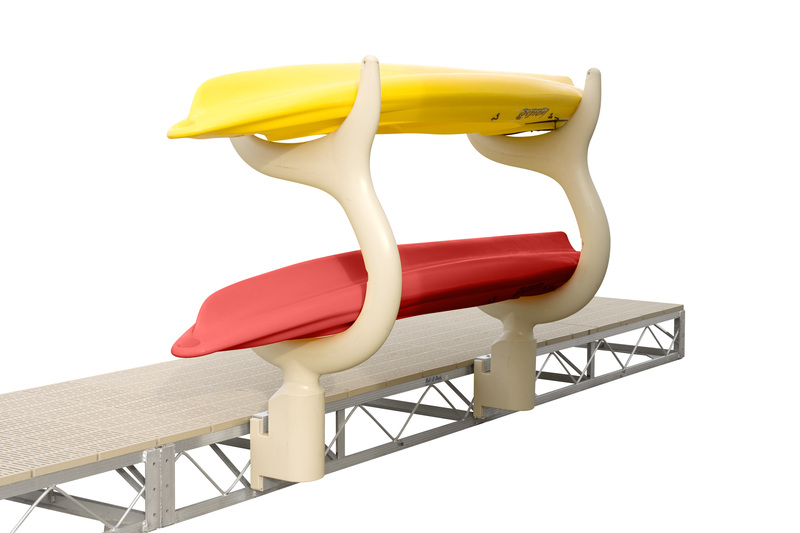 ·All aluminum construction, these benches are unique when mounted to the dock. 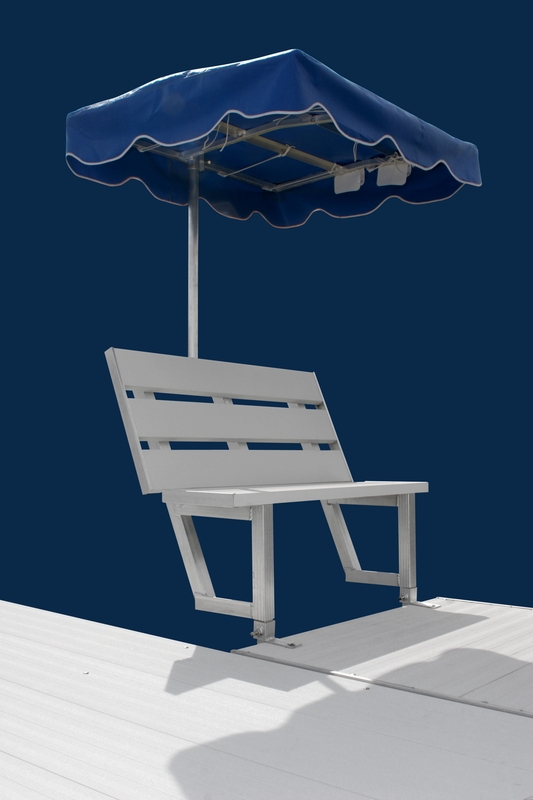 ·The bench is over the water, not on the deck, leaving that important deck space. 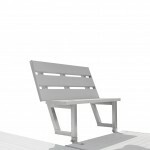 ·Aluminum construction, mounts to the back of bench. 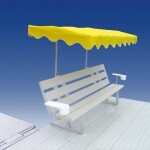 ·Used to shade the sitting area of your bench. 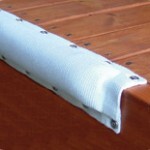 ·Standard vinyl or SeaMark fabric each available in 7 popular colors. 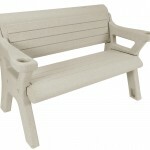 ·Large 5” x 13 ½” molded armrest has deep cup holders that are rotational and can hold up to a 3 ½” diameter cup.